Well behaved dogs always get a warm welcome from The Tranquil Otter. 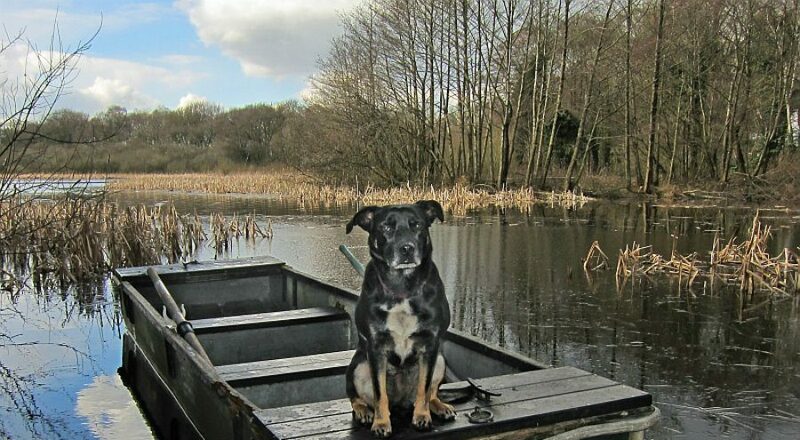 Our own dog Leah (AKA Queen of the Realm) loves the freedom she has to roam and run in the countryside. Many of our guests who bring dogs, ask for recommendations for dog-friendly walks that allow them to get the full ‘lake district and Cumbria’ landscape experience. Many of the popular Northern Fells and Lake District Walks are accessible within an hour’s drive. Below we’ve listed some of our favourites. Dodd Wood is a delightful place for dog-walking. It is situated on the East shore of Bassenthwaite Lake and has lots of trails and viewing points to take in some breathtaking scenery. It ‘s also a popular place for viewing Ospreys. The starting point for the Dodd Wood climb is from the carpark at the Old Sawmill Tearoom on the A591. The Forestry Commission site provides information about various trails including one to the Dodd Summit (about 450m from the carpark). Most of the track to the summit and around the Forestry Commission plantation is in good condition and well maintained. The final section of the path to the summit has some loose gravel. We’ve climbed this with our boys since they were 7 and 8, and they loved climbing the mountain. This is a very popular and picturesque Lake District Fell walk with exceptional views of Derwent Water. It does get quite busy, so unless you’re on the fells before 10am, expect to see many other people (and dogs) on the walk. 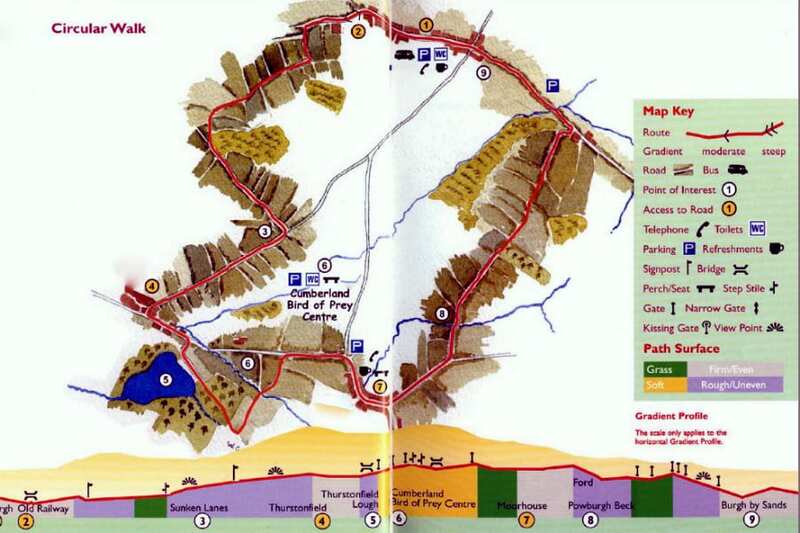 The walk starts with a climb of about 450m, the path is steep, rocky and slippery in parts; a map, compass, walking boots and waterproof clothing are a must. There are many routes to Catbells, from the Hawse End Jetty, from Little Town or from Swinside. Roadside parking is available, but it can get quite busy during summer months. Download a detailed version of the walk from walkingenglishman.com. Download a more challenging (8 miles) version of this walk in pdf format from a selection of Keswick Walks. For a shorter walk to enjoy – without stiles from lakedistrict.gov.uk/mileswithoutstiles. 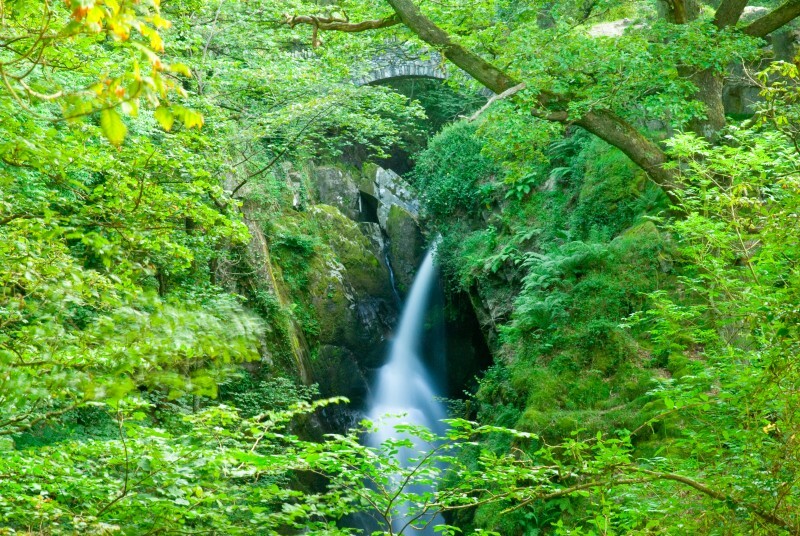 The National Trust describes Aira Force as ‘a showcase for the power and beauty of nature.” We think it’s a pretty accurate description. It’s a magnificent waterfall and a network of trails that weave their way from Ullswater lakeshore to Gowbarrow summit. It’s truly breathtaking. It’s only about a 40-minute drive from the Tranquil Otter, but we only discovered it in 2015. Since then we have been back to Aira Force at least three times. It’s great with teenagers who make mincemeat of the stairs and are captivated by the waterfall. Found near Watermillock, Penrith, Cumbria, CA11 0JS – postcode takes you to the general area. More information about Aira Force can be found here nationaltrust.org.uk/aira-force. Download an intermediate (4.5 miles) walk around Aira Force and Gowbarrow from the National Trust. see our blog on Long Meg and daughters.